Welcome! 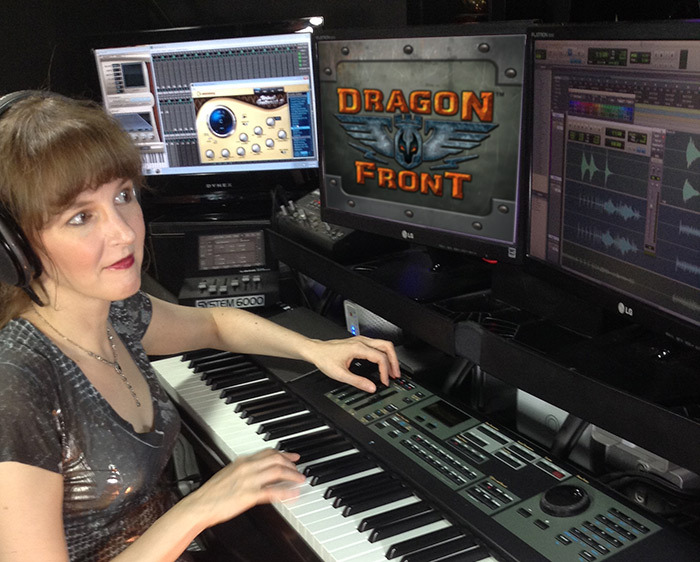 I'm videogame composer Winifred Phillips, and this is the continuation of our four-part discussion of the role that music can play in Virtual Reality video games. These articles are based on the presentation I gave at this year's Game Developer's Conference in San Francisco, entitled Music in Virtual Reality (I've included the official description of my talk at this end of this article). If you missed the first article exploring the history and significance of positional audio, please go check that article out first. Are you back? Great! Let's continue! 3D music elements can help the musical score feel better connected to the environment in VR. Let's take a look at an example from the Fail Factory VR game, which demonstrates how 3D music elements can share the stage with a conventional stereo music mix. By necessity, Fail Factory is set on a gigantic factory floor - but what makes this factory uniquely awesome is the musical nature of the environment. All the machinery in the factory moves rhythmically with the musical score. So, the dev team asked me to create a jazzy score for this music-driven gameplay. Apart from the score, all of the sound design of Fail Factory is also created specifically to be musical. The bleeps and bloops are pitched to integrate with the score, and the bangs and clangs are timed to emphasize the tempo. While much of the music is delivered to the player in traditional stereo, there are also lots of separate rhythmic and pitched elements that are spatially positioned on the game’s factory floor. The sound design team and I worked hard on getting the balance right between these 2D and 3D components. We've just explored what it means to compose music with both 2D and 3D considerations in mind. The next article will focus on the second of the three questions: whether music in VR should be diegetic or non-diegetic. Thanks for reading, and please feel free to leave your comments in the space below!